FreeFrom Skin Care Bronze Award for Body Care (Leave On). "Gave long lasting hydration throughout the day and kept dry patches of skin at bay - skin has felt softer and smoother after a month- fewer dry patches and redness due to my skin feeling more calm and soothed. Delivered amazing results." 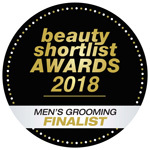 King Of Skin care: celebrating men in business. 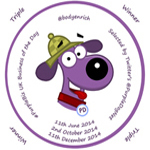 Bodyenrich's 3rd PurpleBiz UK Business of the Day award. The Purple Dog Network, Unleashing the Power of Twitter for UK Businesses. Using Twitter for Business. 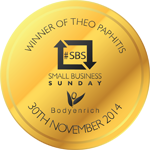 Bodyenrich wins a prestigious business award from Theo Paphitis (Dragon's Den) - Small Business Sunday (#SBS). Small Business Sunday was created by Theo Paphitis in October 2010. Theo is best known for appearing on Dragons Den on BBC Two. He is Chairman of Ryman Stationery plus Boux Avenue lingerie and Robert Dyas, as well as joint owner of Red Letter Days. 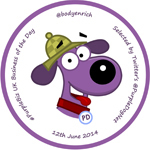 Bodyenrich's 2nd PurpleBiz UK Business of the Day award. 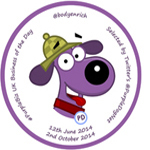 Bodyenrich's 1st PurpleBiz UK Business of the Day award.